Mates in Mind announced the Highly Commended and Winners of their 2019 Impact Awards. 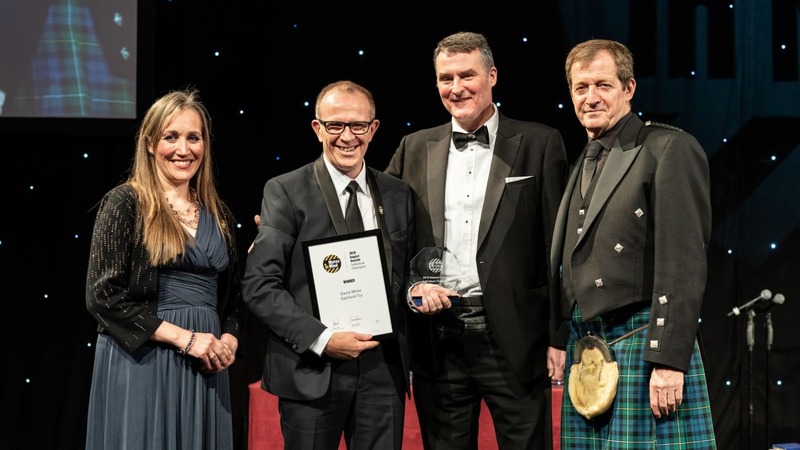 This was the second year that the awards have taken place, hosted as part of the British Safety Council’s prestigious the 2019 International Safety Awards gala dinner held at Grosvenor House in central London. The Mates in Mind Impact Awards aim to recognise and celebrate the effort and good work of large organisations, SMEs and individuals across the UK. The awards are adjudicated by an independent panel of leading industry experts. On announcing this year’s award recipients James Rudoni, Managing Director of Mates in Mind said: “Our warmest congratulations to all our Winners and those who were Highly Commended - they should be proud of their achievement, but more than that, for their contributions to improving the mental health of their workforce and the wider industry. “The Awards are only in their second year, as is the charity, but the number and quality of submissions we received were tremendous. We are delighted to see that the Awards are growing to become an annual highlight in the Mates in Mind calendar for our Supporters. The winner of the Mates in Mind 2019 Impact Award for the Large Organisations category was Seddon Construction Ltd. They were praised by the adjudication panel for having the courage to have a conversation following the tragic death of Jordan Bibby, one of their apprentices, as an organisation demonstrating true leadership to build a vision for the future that had inclusivity, health and wellbeing at its core. 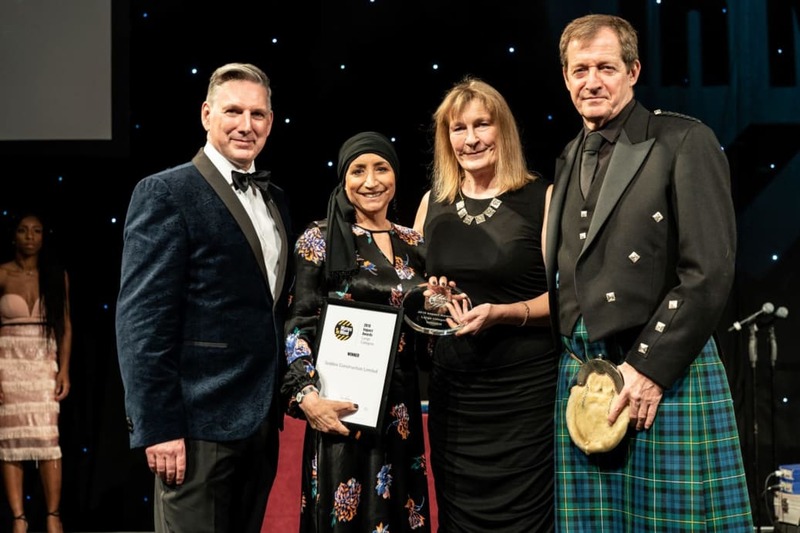 The winner of the Mates in Mind’s 2019 Impact Award for the SME category was Artelia UK. The panel were particularly impressed by Artelia’s efforts to use their role in managing supply chains and frameworks, to spread the message and touch as many people as possible. Their work with Mates in Mind was noted to not only have started people talking, but actively changing the way they work to look out for one another and through this, benefiting their business overall. "the two organisations awarded Highly Commended for the Mates in Mind 2019 impact Award for the SME category were Wring Group and RSE Building Services"
This year, for the first time, Mates in Mind also offered Supporters the chance to nominate a colleague for their new category, the Mates in Mind 2019 Individual Champion Award. This award sought to celebrate an individual who exhibited exceptional commitment to improving mental health and wellbeing within their organisation and beyond. This year’s winner of the 2019 Impact Award for the Individual Champion Award in the SME category was Richard Carrington from Williams Southern Ltd. Richard was praised for his delivery of change across their Retail Development Programme, including supporting contractors within the scheme living away from home and travelling many miles; as well as for his efforts to champion the belief that companies can start the conversation about mental health at any opportunity. The winner of the 2019 Impact Award for the Individual Champion Award in the Large Organisations category was David White from Galliford Try. David received the award for his energy, focus and inspirational dedication to motivating others, committing his Executive Board to a wellbeing vision as well as supporting the delivery and uptake of Galliford Try’s wellbeing initiative, Be Well.